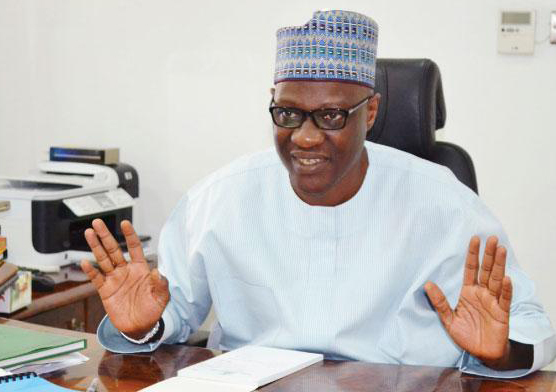 The Kwara State Governor, Alhaji Abdulfatah Ahmed says despite lean resources, his administration had modestly fulfilled its campaign promises to the people of the State. Governor Ahmed who stated this on Thursday in Ilorin during a special interactive session with journalists to mark the 7th year anniversary of his administration, however, said he would have loved to do more. He said that he ran for office on a platform of ‘continuity’ and that in line with this, his government had completed all the projects inherited from the previous administration. Alhaji Ahmed listed some of the inherited projects that have been completed to include Ganmo/Afon road, Gambari road, Ilorin, International Aviation College, Harmony Advanced Diagnostics Centre, and Lafiagi township road, among others. The governor explained that if he had chosen not to complete these inherited projects and but had started with his administration’s projects, huge resources would have been wasted thus denying Kwarans the benefits of the projects. He added that his administration had also initiated and completed numerous projects across all sectors in different parts of the state, noting that several other projects are currently ongoing. Alhaji revealed that some of the projects his administration initiated and completed are KWASU Engineering complex, renovation of five General hospitals, IVTEC, Ajase Ipo, rehabilitation of Ejiba road, Ilorin, Oloro palace road, Oro, Rore-Ipetu-Arandun road, construction of Oko Bridge-Oro Ago, construction of Erin-Ile- Ilemona road, Ogbondoroko township road and several others. Others are Rehabilitation Anilelerin Agun-Ita-Erin road, Offa, Construction/Rehabilitation of Fate R/about-Agric R/about, Ilorin, Construction of Tsaragi Batakpan road, construction of Obbo-Ile Isapa road, etc. He also highlighted some of the ongoing projects to include Geri-Alimi Diamond underpass, dualisation of Sango-UITH road, ultra-modern modern Secretariat for civil servants, repositioning of the state-owned media houses, two KWASU campuses in Osi and Ilesha-Baruba as well as a Post-Graduate school in Ilorin, among others. Governor Ahmed assured that all ongoing projects would be completed before the expiration of his tenure, stressing that the funding of the projects has been guaranteed by the State Infrastructure Development Fund (IF-K).